Thanks to Keith G3WGE for recently noting in a question to the blog that while in DATA mode the radio adds 1000hz offset to the BFO. Keep on reading as I will go into what IMHO is the reason behind this. Keith was also looking for a way to disable this feature. Not having a signal generator I used WWV as an external source and used the very handy Spectrum Lab package by DL4YHF to display the before and after effects of mode and config changes. 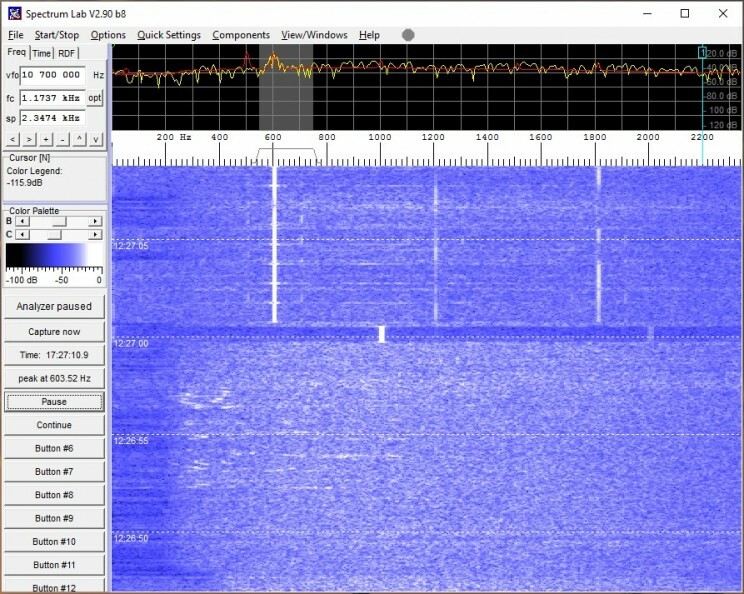 In the image below the radio is in DATA-USB and while the band is not very busy I was able to capture activity centered up on 14.070.700, which is due to the audio offset feature of the radio is being presented centered up in the waterfall at 1.7khz or 14.071.700 (14.070.000 + 1.7khz). By convention and band plan the 20m PSK center frequency is 14.070Mhz and in order to take advantage of the spectrum in the 1khz above 14.070 the audio is being offset as already described in order to put it in the band pass of the transceiver. Without this BFO offset would need to shift your center frequency down band in order to put signals in the first 1000 hz somewhere where the receiver and transceiver can function with efficiency. While on the subject of band pass I wanted to pass on a tip which I commonly use. As your receiver is subject to many signals within the band pass you need to be reasonably concerned with the impact this will have to the AGC circuit. Strong signals can clamp down the AGC which if you are working a weak one can in result in loss of decode. There are several receiver features which can be used to minimize the impact, in this example I moved a signal of interest into center of the audio pass band (1000hz is the default) by using the left and right frequency shift keys to the right of the VFO display. This is a great feature in DM780 and the software shifts the VFO while also adjusting the audio decode frequency so everything just tracks. Once centered up I cranked down the IF Width and put the station of interest front and center. If I continued to have a close neighbor I could use a manual notch to null them out. Referencing the WWV reference document above at the top of every minute a 1000hz tone is send. This can be seen below as the new minute begins, ignore the VFO frequency displayed the software is not configured to interact with the radio this is the default value I am guessing. Changing the mode to DATA-USB results in everything shifting up spectrum 1khz. The line at 1000hz is the carrier as WWV is broadcast in AM. If you wish to disable this feature change 067 to OTHERS and change 070 to 0Hz. 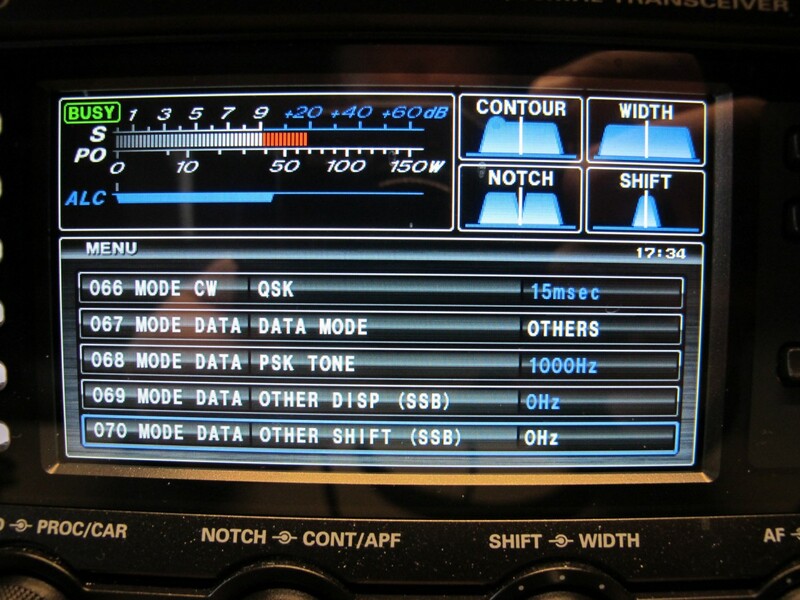 Yaesu DR-1X 1.10j Firmware we have a winner ! This was helpful. When I fired up FT8 for the first time I noticed everybody said go to (for example) 7074.0 but I couldn’t hear much unless I dialed up to more like 7074.800. I found these offsets and set them to 0 and that seemed to work but I still wasn’t sure it was the right thing to do. I still am not convinced 0,0 is what I’m supposed to be using for those offsets … but this post at least makes it clear to me this is the area of concern. 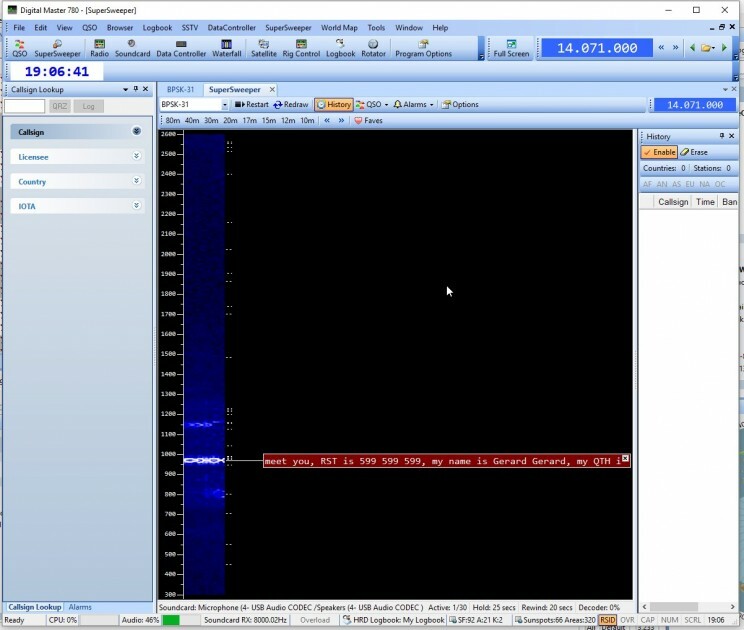 The offset serves a purpose which once understood allows you the operator to better understand where you are receiving and transmitting based on the selection in the FT8 waterfall. 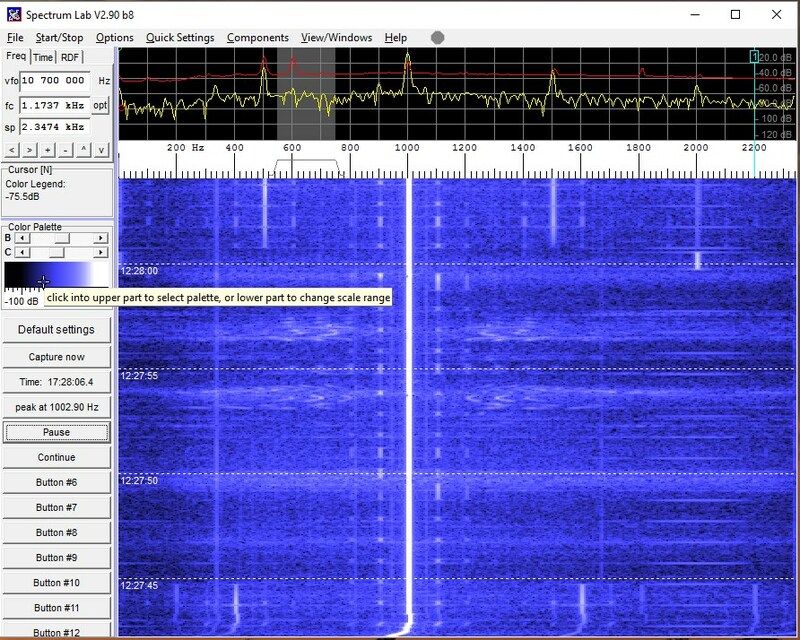 What you have noticed with no activity in the bottom 500hz to 900hz of the sub band is a couple of things. Not all radios use a 1000hz audio offset, some I have seen are 1500hz if memory serves. The important thing is this often times when the allocation is jammed packed the bottom 500-800hz is wide open. This is due to limited bandwidth of mixer radios for discussion purposes lets agree 3Khz. Beginning at 300-400hz from the edge the performance degrades, TX power is lower for the same audio drive and the RX performance also falls off. The simplest solution is the VFO, drop down the center frequency down 500hz which in the case of 40m FT8 will place the 7074.0mhz up into the usable bandpass of the receiver offset by whatever you have the offset set to. Also ensure in WSJT-X that you have the bandpass opened up as wide or wider that the RX BW. I run my Flex mostly on digital these days and it supports a 5Khz bandpass with ease so I can view and work the entire 2Khz FT8 sub band which runs from 7074 to 7076. As of late with the slow death of JT65 and JT9, FT8 is expanding higher up the band as usage demands. Lots of variables and room for individual operating styles once you understand how all the pieces dove tail together. Thank you for this write up. I recently purchased an FTDX-3000 to replace my FT-450D. This 1Khz offset had me going crazy thru the menu’s trying to figure it out. Now that I know, I simply tune up 1Khz when operating FT8. I also do MSK144 so may have to change the menu to PSK – OTHERS and see if that keeps me centered properly. Glad you figured it out. Biggest issue I have with the FT450D is the limited bandpass, often the band activity is wider than the 2.4Khz if I recall that the 450 will pass in data mode. My purpose in writing the note was to raise awareness of the inter workings of the radio, not so much a problem once you understand how it all works. 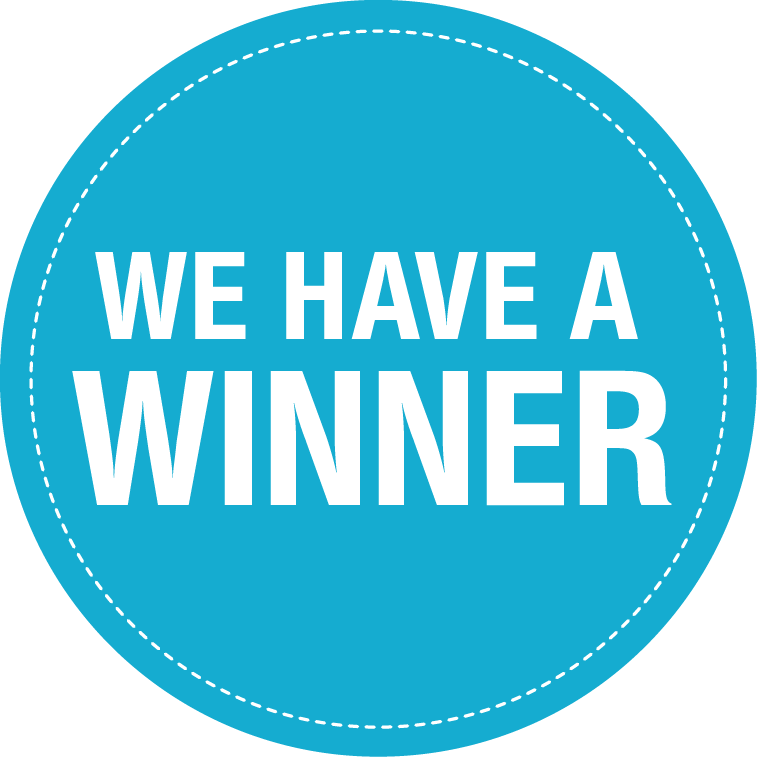 Purchases made via this link will support this site at no cost to the buyer.